Bio Notes: James Miller was born in 1860 in the parish of Auchtergaven where his father George Miller was a farmer. Very early in life his father moved to Little Cairnie, Forteviot, where his childhood was spent, his later school education being at Perth Academy. In 1877 he was articled to Andrew Heiton of Perth, soon to be joined in partnership with his nephew Andrew Heiton Granger (after 1894 Andrew Granger Heiton) who probably had some English experience (though probably not with Norman Shaw as stated by Sloan and Murray). At the end of his apprenticeship he spent some time with Hippolyte Jean Blanc before joining the Caledonian Railway engineering department initially at Perth under John Morrison Barr. He was transferred to the Glasgow office in 1888, where he designed a number of stations under the supervision of the engineer-in-chief, George Graham. These brought his work to the attention of the management and directors, and in 1890 an old school friend, Donald Alexander Matheson, a pupil of the Perth architect and civil engineer John Young, joined him in the office as resident engineer for the construction of the Glasgow Central Low Level lines. During his period with the Caledonian Railway Miller made at least one study tour of France, Belgium and Germany and had established a small but up-market private practice. He set up full-time practice on his own account in 1892 on winning the competition for Belmont Church and rented an office at 223 West George Street, his house and office having previously been at 3 Windsor Street. In 1894 his experience at railway work brought commissions for the stations on the West Highland Railway: Miller appears to have produced the standard design, but the actual construction and the design of some of the ancillary buildings were shared with John James Burnet and his assistant Robert Wemyss who set up practice on his own in Helensburgh in 1896. 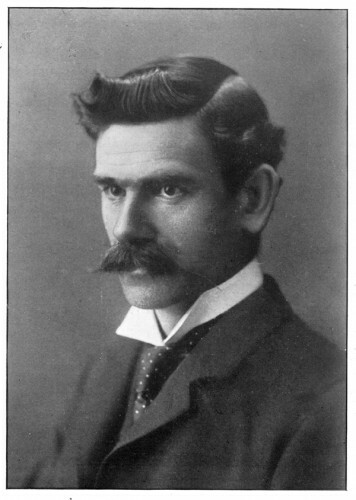 On Graham's death in 1899 Matheson took over as engineer-in-chief, and although limited competitions were to be held for some Caledonian projects, Matheson's influence ensured that all the major ones went to Miller. In 1898 Miller won the competition for the Glasgow International Exhibition of 1901; in 1901 that for the Glasgow Royal Infirmary, although the assessor, Rowand Anderson, had recommended Henry Edward Clifford; in 1903 those for the Materia Medica and Physiology buildings and Natural Philosophy Buildings at the University; and in 1904 he secured the patronage of the Glasgow & South Western Railway for its hotel at Turnberry. In 1908 he won the competition for the museum in Bombay but the commission was given to the runner-up, George Wittet. Two years later he won the competition for the Institution of Civil Engineers in Westminster and secured that for the extension of the Institution of Mechanical Engineers to match it on the opposite side of Great George Street. Miller thus came near to eclipsing Burnet in London as well as in Glasgow, but his London office at 1 Victoria Street was not reopened after the First World War. Although Miller's written memoranda as a Royal Fine Art Commissioner show him to have been extremely thoughtful in matters of design, Miller's twentieth century practice depended for its quality of detail on a series of supremely well-chosen assistants. In the earliest years of the century these included James Carruthers Walker from 1900 until at least 1911, and James Carrick, Alexander McInnes Gardner, Thomas Andrew Millar, George Arthur Boswell, Thomas Lumsden Taylor, Balfour Abercrombie and Charles Forsyth for shorter periods of two to four years. American influence is first seen in Miller's Hispanic American exhibition buildings of 1898-1901, which like their American counterparts were built of a hard white plaster known at the time as 'staff'. It became even more marked after Matheson's fact-finding visit to the USA in 1902. Although the younger Carrick believed that Miller had gone as well, his daughter confirmed that he had not and that his knowledge of American architecture came from Matheson and contemporary journals. American influence made its first appearance in permanent form in 1903 at Olympia House in Queen Street, uncompromisingly rectangular in form like contemporary American steel frame buildings with the high-level giant colonnade that became a feature of taller American office buildings in the 1890s. Turnberry Hotel, begun in the following year, and Peebles Hydropathic, begun in 1905, were similarly reflections of American country hotels, as was his competition win for the design of the Caledonian Railway's Gleneagles, but completion of that project became wholly the responsibility of the railway's architect Matthew Adam after the First World War. Nevertheless Miller's public and commercial architecture tended to remain an accomplished Glasgow neo-Baroque, with occasional experiments in faience to combat the Glasgow atmosphere from 1907 onwards. American and Canadian influence reappeared at Cranston's Cinema building in Renfield Street in 1914-15 and became even more marked after Richard M Gunn became chief assistant in 1918, most notably at the McLaren warehouse in George Square in 1922, its elevations similar to those of Warren & Wetmore's Canadian Northern Station of 1917-18 in Montreal, and at the Union Bank of Scotland in St Vincent Street won in competition in 1924 with a design inspired by York & Sawyer's 1913 Guaranty Trust Building and McKim Mead & White's National City Bank of 1903-10, both in New York. Both of these buildings had pure classical detail, but from 1930 the details became more an Egyptianised Art Deco classical with a marked preference for Portland stone as a more durable alternative to faience. A monumental English brick and stone idiom was developed in parallel from the late 1920s, the product of a commission for Cadbury's Bournville and a competition win for Wyggeston Grammar School at Leicester; and from 1929 Miller took over at Crittal's Silver End development, continuing the flat roofed modern idiom introduced there by Thomas Tait and Fred McManus. After Gunn died following a period of poor health in 1933, the main design responsibility seems to have been passed to James Carruthers Walker - who had returned - until Miller's son George Miller rejoined the office. George had been educated at Fettes College and at St John's College, Cambridge as well as in his father's office and at the Royal Technical College of Glasgow. Around 1932 he obtained a place in Sir Herbert Baker's office for experience, returning c.1936 to take a hand in the design work with Walker. The practice then became James Miller & Son. From about 1933 a symmetrical horizontally proportioned modern with oblong central pavilions was adopted in parallel with the brick modernised neo-Georgian of Gunn's last years. Perhaps not every Glasgow architect would have concurred with that description. The directors of the Railway companies were the most influential patrons in Glasgow. The degree to which Miller seemed to sweep up nearly every worth-while commission was resented by many while the matter of the Glasgow Royal Infirmary rankled with the assessor, Sir Rowand Anderson, and with the Glasgow architectural profession as a whole to the day he died. If, as has been remarked, he stayed out of the limelight at openings, it was because he knew his clients and knew not to step out of line. And although Miller lived relatively quietly at home, first at 19 Hillhead Street and later at Randolphfield, Stirling, which he bought in 1911, the circles in which he moved required him to entertain lavishly when the occasion demanded. His office, at 15 Blythswood Square from about 1900, was even smarter than Burnet's nearby in St Vincent Street. To their brief memoir Manson and Walker added a mysterious last paragraph: 'At one stage in his career, a famous architect made a tentative approach with a view to partnership, but after careful consideration Mr Miller decided to plough the lone furrow, and this he did most successfully to the end of his days.' The probability must be that the famous architect was John James Burnet when seeking a Glasgow partner after setting up his London office in 1904. The identity of the famous architect remained a well-kept secret as no one else who had been in their offices knew for certain to whom this referred. Miller married Emelina Henrietta Crichton around 1898. George was the only son, but there were two daughters, Mabel (Mrs Harper) and Muriel. Of life at Randolphfield Mrs Harper recalled that Miller was a gardener, doing much of the maintenance himself. He taught the children to play tennis - he laid out a court for the purpose - and golf, and took them on fishing expeditions. Gleneagles was a favourite venue, despite his disappointment there, and he had motor cars appropriate to his clientele, a Delage and a Hispano-Suiza driven by a chauffeur with the somewhat improbable surname of Mustard. Like Lorimer he had classical tastes in music and was a good violinist. Miller never troubled himself with the qualifying exam and was admitted FRIBA relatively late on 7 April 1902, his proposers being William Leiper, William Forrest Salmon, both of Glasgow, and John Slater of London. While still with the Caledonian Railway he began exhibiting at the Royal Scottish Academy as well as at the Royal Glasgow Fine Art Institute as early as 1890; but he did not begin exhibiting regularly until 1904, three years after his unsought election as ARSA in 1901. He was elected full academician in 1930, and throughout the following decade was an influential Royal Fine Art Commissioner, writing a particularly interesting report on the Office of Works designs for St Andrews House. It was a commission he did not get despite the best efforts of Lord Weir, but as a commissioner he gave Thomas Tait his full support. Miller was also one of the committee of seven for the Department of Health on matters relating to hosuing for the working classes. George Miller died in 1940. His father thereafter saw no point in continuing to practise and retired in December at the age of eighty. The practice was continued by John Wellwood Manson from George A Boswell's office under the name of Miller & Manson, Walker remaining only briefly as he too was nearing retirement. Manson had studied at Glasgow School of Art and the Royal College of Technology. He assisted the Millers with the later stages of the Commercial Bank, the BBC Buildings and other projects, and completed the work in hand. James Miller died at Randolphfield on 28 November 1947, leaving the very substantial sum of £47,931 8s 11d. Manson died on 11 October 1952. The practice was then taken over by Frank Burnet Bell & Partners who completed the few buildings then in progress. NB James Miller's library was presented to NMRS in 2004, presumably a bequest from his daughter. 39, Rain Street, Saltcoats, Ayrshire, Scotland Business 1911 * It is not clear which James Miller was at this address in 1911. May in fact not be this one. Alexander Wright 1892 1893 or 1894 Worked as office boy. John Balfour Symington Abercrombie (or Balfour Abercrombie) 6 January 1899 1904 Apprentice Articled to James Miller, 1899-1904 and remained as assistant 1904-1906. 1898 Arduaine House Arduaine Argyll Scotland Plans for large house drawn up. 1903(?) Wemyss Bay Railway Station, Station Master's House Wemyss Bay Renfrewshire Scotland Caledonian Railway Company Architect. Assumed to be by Miller or one of his assistants. 1910 Institution of Civil Engineers Westminster London England Secured job after competition. Buildings at this date covered numbers 2-7 Great George Street. Number 1 was in the original design but not constructed until the 1930s. 1913 St Cuthbert's Kirk and Kirkyard Monkton Ayrshire Scotland Mausoleum of William Weir of Adamton & Kildonan - perhaps by Miller who worked for Weir elsewhere. 1914 Atholl Hydropathic Establishment Pitlochry Perthshire Scotland Alterations and additions. The year before, 1913, James Miller wrote a report about the building for the purposes of valuation prior to sale. 1915 Imperial Hydropathic Hotel St Annes on the Sea Lancashire England Alterations and additions? After 1929(?) Birmingham Hospital Centre Birmingham England Competition design? 1930 Kincardine Bridge Kincardine Fife Scotland Gave architectural advice. 1931 City and County Infirmary Perth Perthshire Scotland Proposed demolition of Mackenzie building and new Perth County offices: not carried out. 1934 Bank of Scotland, Calton district Calton Glasgow Scotland In conjunction with James Taylor Thomson. Professor David M Walker personal archive Professor David M Walker, notes and collection of archive material Personal information from Mrs Mabel Harper to Charles McKean, Audrey Sloan and David Walker.